truSculpt® takes a multi-dimensional approach to body sculpting and circumferential reduction by delivering clinically therapeutic temperatures to the subcutaneous adipose tissue to achieve the highest clinical efficacy in the shortest possible treatment time. This Targeted, Repeatable and Uniform approach ensures TRUE 3D results are achieved. truSculpt® 3D is the latest and most effective procedure for non-invasive fat reduction, body sculpting/contouring and skin tightening. Trusculpt 3D is the only treatment that could be considered a solution for both fat and skin laxity in a single treatment. Studies show up to 25% fat reduction after a single, 1-hour session. truSculpt® 3D uses radio frequency (RF) energy that delivers deep tissue heating to the unwanted fat which in turn heats up, shrinking the fat layer. The fat cells then are then broken down and disposed of the body through the immune system on a period of 2-3 months. This non-surgical solution is ideal for patients who are close to their ideal weight, but have pockets of fat that are resistant to diet and exercise. The truSculpt® 3D system is also used for skin tightening due to collagen stimulation via radio frequency heat application. 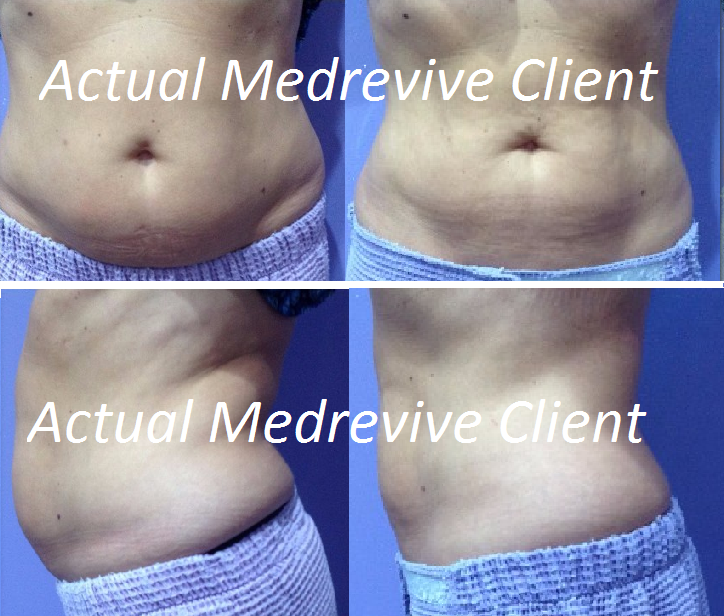 As a result, you can get reduction in fat thickness up to 25%, deceased circumference, and firmer skin in just one treatment, without surgery or any post-treatment discomfort or downtime. Am I the right candidate for truSculpt® 3D? The ideal candidate for trusculpt 3D should have a BMI of less than 30 and have unwanted fat that are resistant to diet and exercise. Additionally, truSculpt 3D is safe for all skin types. Contraindication to treatments include pregnancy, having cardiac pacemakers, internal defibrillators, tumors and metallic implants (including joint replacements) in the target area. truSculpt 3D can be used on the back of the arms, bra line, flanks, abdomen and thighs. Smaller circumference areas, such as the jowl and neck, will be treated with our traditional truSculpt technology. How much does a truSculpt 3D treatment cost? Your specific cost will depend on the size of the area and number of treatments that you would require. Please contact us for a free consultation and pricing information. Patients typically see results after one treatment. Additional sessions may be required to obtain desired results. How does the treatment feel? Is there any downtime after the treatment? How long does a treatment take? truSculpt 3D is comfortable and requires no anesthetic. The truSculpt® 3D handpiece is applied to the skin in a gliding motion to deliver Radio Frequency energy/heat for 15 minutes per area. The procedure has been compared to a hot stone massage. You should be able to return to your daily routine immediately after the treatment. There is no downtime or side effects after the treatment. Procedure time depends on the number of the areas being treated. For example, it will take about one hour to treat a full abdomen.